Bruce Leonard, a founding chair and director of the International Insolvency Institute (III), and active member of GRR’s editorial board, has died after an extended illness. Leonard was a leading light in the world of Canadian and cross-border insolvency law, well-known both in his home town of Toronto and internationally through his numerous leadership roles in professional groups, particularly the III – a non-profit, by-invitation association of cross-border insolvency lawyers, academics, practitioners and judges from around the world, which he founded in 2000. As a private practice lawyer Leonard worked on some of the industry’s most recognisable cases, including the liquidation of Nortel Networks and as lead agent to the Canadian government in the restructurings of US car manufacturers General Motors and Chrysler. He also advised the Canadian government on bankruptcy policy and reform, lobbying for the adoption of the UNCITRAL Model Law in Canada and the US, and acted as an adviser to the World Bank. He was vital in supporting GRR ahead of its launch in March 2016 as a member of the magazine’s editorial board. Leonard continued to serve on the board energetically, calling into meetings from Toronto, providing story ideas and inviting us to report from III events, until he was no longer able. According to Chris Besant, a lead partner in the financial services group at Gardiner Roberts in Toronto, who worked with Leonard for more than 20 years on and off between 1986 and 2009, the founding chair of the III was born and grew up on a small cattle ranch in a tiny hamlet in Manitoba called Oak Bank. Leonard graduated from the University of Manitoba and finished an LLB at Osgoode Hall Law School in Toronto in 1968. Two years later he completed the bar admission course and was called to the bar at a ceremony where the then Premier of Ontario, John Parmenter Robarts also received an honorary degree. Leonard began his legal career at Blake Cassels & Graydon in Toronto, spending around 15 years there and becoming a partner. During that time, he became a key insolvency adviser to accounting firm Arthur Andersen – one of the “big five” accounting firms before its bankruptcy filing in the US in 2001 on the back of the Enron scandal. Arthur Andersen was acting as adviser in some large Canadian real estate and financial institution failures, which catapulted Leonard into prominence. He eventually left Blakes in the mid 1980s to join Fasken Martineau predecessor firm Campbell Godfrey & Lewtas. It was there he first met Besant, and together, they moved to Cassels Brock & Blackwell in 1993 to launch its reorganisation group. Leonard remained at Cassels Brock for more than two decades until 2015 when he moved to another Canadian firm, Miller Thomson, to be senior counsel in its restructuring and insolvency group. As well as being a private practice lawyer, Leonard recently served as an adjunct professor at the University of Toronto, teaching international insolvency as part of its LLB programme. He also used to be a co-director of what was Canada’s first graduate degree in insolvency law at his alma mater, Osgoode Hall Law School. Outside his professional activities, Leonard was thoroughly dedicated to a plethora of insolvency organisations and academic groups. Having founded and raised the III to over 350 members from more than 60 countries, he delegated some of the management of the institute a few years ago, but was still heavily involved in promoting its young practitioners’ group, the NextGen Leadership programme. When he joined GRR’s editorial board in 2016, Leonard said in an interview that the creation and development of the III had been the highlight of his career. His most memorable project with the III, he told GRR then, was chairing a committee that drew up the III-American Law Institute (ALI) Guidelines Applicable to Court to Court Communications in Cross-Border Cases at the turn of the millennium. The guidelines helped develop the concept of the cross-border insolvency protocol and were adopted as principles of cooperation by the US, Canada and Mexico as NAFTA signatory countries in 2003. Leonard was later a co-reporter for Canada and chair of the ALI’s Transnational Insolvency project, a broader project that produced a report in 2012 recommending global principles for cooperation in international insolvency cases. Leonard was also a co-chair of the global International Bar Association’s insolvency section from 1992 to 1996 (then known as the IBA’s committee on insolvency and creditors’ rights). As part of this role, he served on the IBA’s delegation to UNCITRAL Working Group V (Insolvency) when it was in its formative years, helping it in the preparatory work for the drafting of the Model Law on Cross-Border Insolvency in 1997 and its accompanying Legislative Guide on Insolvency Law in 2004. It was in the IBA committee that Bob Wessels, professor emeritus of international insolvency law at Leiden University in the Netherlands, met Leonard in the early 1990s. “Bruce has written many publications on international insolvency law and has had an omni-global presence during all sorts of occasions and conferences,” Wessels said on 24 January on his blog. In 1990, ten years before Leonard set up the III, he was a founder of the Insolvency Institute of Canada, for which he acted as chair and director, and as a member of its international insolvency and creditors’ rights committee until 2002. The Insolvency Institute of Canada still honours students at five Ontario universities with the “Bruce Leonard Prize in Insolvency Studies”. 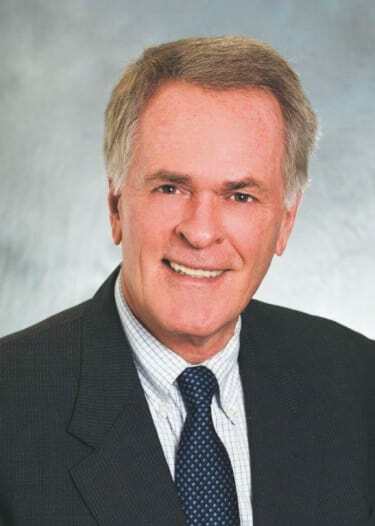 Other positions he held include chair of the insolvency section of the Ontario Bar Association; vice chair of the American Bar Association’s international bankruptcy subcommittee; director of the American College of Bankruptcy and chair of various of its international committees – he was the second Canadian ever to be elected a fellow of the college; and director of the American Bankruptcy Institute from 1997 to 2000. Moreover, he was the only international conferee of the US’s National Bankruptcy Conference (NBC) – a non-partisan organisation of lawyers, professors and bankruptcy judges that advises the US Congress on the operation of the US Bankruptcy Code – and chaired its international committee. He adds that Leonard always loved “trying to infuse an academic spirit” into his chosen field. “He strove to help bring [insolvency] out of the shadows it once inhabited into the forefront of the law, recognising its economic importance in helping industries adjust to technological and social change. Bruce was a scholar of the discipline, and his prodigious output included a number of influential books, articles, conference papers and other materials,” he says. “He was a visionary who was able to have a big impact on the insolvency world here in Canada and internationally, and has left an organisational and publishing legacy, and a network of friends and admirers around the world, as testament to that,” Besant adds. He also tells GRR that his long-time friend and colleague liked to cultivate an air of mystery around him. One of the mysteries was what the “E” stood for in his name and Besant recalls a formal contest at Cassels to try to discover the answer. Leonard leaves behind his partner of many years, Gale Robertson. His funeral took place on 24 January. GRR will be dedicating some space to Bruce Leonard in the next edition of our bimonthly magazine, and we would like to collect your condolences, memories or anecdotes about his contribution to the cross-border insolvency world. If you would like to submit, please email Kyriaki Karadelis on editorial@globalrestructuringreview.com by 30 January.